Well, it seemed as if the Globe has managed to come to Melbourne. Well, not quite because it still sits on the south bank of the Themes as it has done since the replica was rebuilt, but a 'pop-up' version has made its way to Australia's cultural capital to give us a heavy dose of Shakespeare - in fact more than what this city at the back end of the world is actually used to. Though it is vigorous and vibrant and sports an almost gladiatorial feel, this is pop Shakespeare at its most lowbrow and vulgar. It's primed, as Hamlet put it, to "split the ears of the groundlings, who for the most part are capable of nothing but inexplicable dumbshows and noise". Anyway, a part of me for a while was umming and ahhing about whether I should actually go an see something here, since I had felt a little bit Shakespeared out after the last couple of plays that I had seen, though it may have had more to do with me being under the weather than anything else. 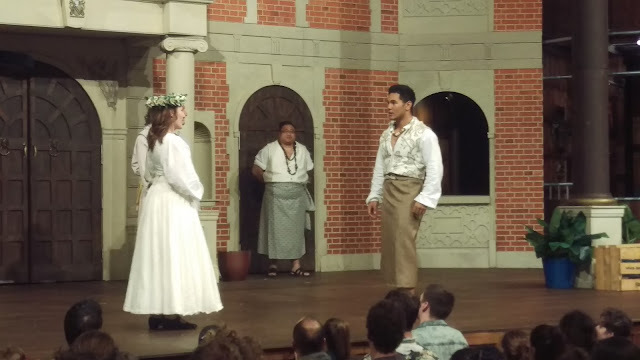 Yet, I decided that since there were a couple of plays being staged, Much Ado being one of them, I thought that I probably should make the effort - especially since Much Ado happened to be up there with the best of them, at least among the people that I had asked. The other thing that stood out with this production was that it was one of the very few, if only, productions, that actually let you take photographs during the performance. In pretty much every case there are multiple signs reminding you that photography is forbidden, however here they pretty much welcomed it, though they suggested that while photos were okay, videos weren't. Oh, and they also gave us the all to familiar 'put your phones on silent' spiel. I have to admit that it really isn't one of my favourites, namely because it seems to be all over the place. Yet this is the thing with Shakespeare - at first it seems to be very, very confusing, yet as we settle down into the play things start making sense. The reason I suspect has a lot to do with the language - while I won't go as far as calling it archaic, we generally don't speak like that in every day life. Actually, I suspect people back in Shakespeare's day didn't speak like that in everyday life either, namely because it happens to be blank verse, and people don't speak in poetic metre, unless of course you happen to be trying to charm a love interest. I have seen this play a couple of times previously, though these were a movie staring Kenneth Branagh, and another movie that was directed of Joss Wheldon - Mr Iron Man himself. The story behind the Joss Wheldon production was that he and a group of friends would have regular Shakespeare sessions at his house, and one day they decided that it might be an idea to not just sit down and read them, but actually perform, and even film, one of the plays, and the play that they chose was none other than Much Ado About Nothing. 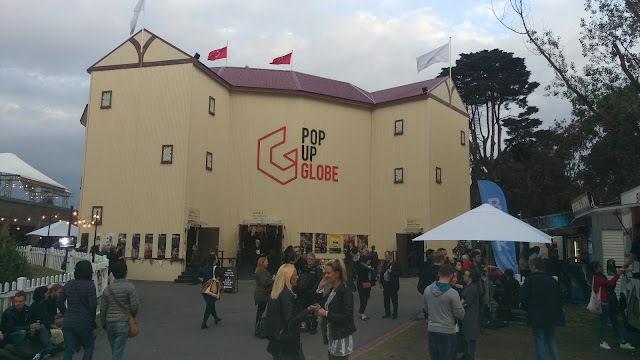 It is a popular play, as I have discovered, and having now seen it performed live by a theatre company that had me in stitches, I can now appreciate the genius of the play. Mind you, Shakespeare was very clever in that he was able to target both the lowest common denominator as well as the most high class members of the audience. Well, these days that might not be the case because the lowest common denominators are probably at home watching Funniest Home Videos and Jerry Springer than actually going out to the theatre, but then again I'm probably making baseless assumptions. Further, it wasn't as if entertainment in Shakespeare's day consisted entirely of the theatre since the 'bear pits' sat across the road from the Globe, and it was basically competing with bear ripping things apart. The thing is that Shakespeare is actually pretty crude - the problem is that we generally don't pick the double-entendres these days. Sure, some people might, but honestly, I would rather spend my time learning French as opposed to learning a language that is no longer spoken simply to understand the jokes in a play that a good troup can tell you anyway - and these guys fell into that category because, as I mentioned, I pretty much left the place in stiches. So, the men have just come back from war, and it is now time to settle down and live the good life - in a way it was much like the Fifties. The men all meet up with the women who have remained behind and decide to have a party. In this group there are two couples - Claudio and Hero, and Benedict and Beatrice. The thing is that this play is a romantic comedy so you know that there are going to be a number of twists and turns, and things aren't going to be anywhere near as simple. Oh, and we also know that this is Shakespeare so there is going to be a mass marriage at the end. Hero and Claudio seem to be pretty cut and dry, expect they aren't. Don Pedro, the elder of the piece, is trying to set them up, but a few words by his brother, Don John, sows the seeds of conflict. At the end of the party it seems that everything is settled, but when the wedding comes about, all of the sudden Claudio makes it clear that he has decided that he no longer wants to marry Hero, and the engagement is called off. On the otherside we have Benedict and Beatrice. In these story neither of them want to get married, especially to each other. However, in executing an intricate scheme worthy of Jane Austin, their friends drop little hints here and there, and plant secret letters, that make Benedict and Beatrice believe that the other is madly in love with them. This is one of Shakespeare's genius because he clearly knows human nature - the longer something is fed to somebody the more likely they are going to start to believe it. I'm sure we can all work out what happens in the end, but that is not the point because the fun is actually how we actually get there. Honestly, I'm not a big fan of romantic comedies. Okay, if they happen to be good then that is another story, but in general I tend to find them quite boring. Actually it probably has a lot more to do with the unrealistic, Hollywood stories that seem to regularly come out. Okay, I may be being rather unfair towards Hollywood, but ironically the romantic comedies that I have liked the most have ended up being those based on other sources (Clueless for example, which was based upon Jane Austin's Emma, though when I went to watch Emma, I simply could not stomach it - setting it in Beverly Hills seemed to resonate more with me than setting it in 18th Century England. The question that I raise though is whether we actually understand what love really is. For those of use that are fed on a steady stream of Hollywood, we would probably expect it to be this magical thing that brings two people together, who are meant to be together, and that they will end up living happily ever after. That is the key - happily ever after. In many cases there is this idea that once the perfect, the destined, couple get together then nothing is going to break them apart. Well, it seems that the modern divorce rate has something to say about that. Okay, Shakespeare isn't in the clear when it comes to this style of romance - in fact he is in the thick of it. Consider the fact that these plays end up with everybody getting married. Well, let's give him some slack and just assume that people in Shakespeare's day didn't toss marriages out the door when the dream suddenly didn't work out the way that it was supposed to work out. Also, when marriages are political in nature then divorce is not an option - unless you happen to be King Henry VIII, then you simply change the rules and tell the Pope what to do with his Mitre. Yet this concept of the couple that was destined to be together isn't something that actually comes out in Shakespeare. Never once is that term used - if a couple marries it is because they want to get married, not because there is some mysterious force that has determined from the beginning of time that they were meant to get married. In fact I even remember people talking like that at University, and even in the church that I would go to, that is the idea of the perfect couple, the ones that were meant to be together. I still remember sitting in the congregation at weddings that have now ended in divorce. Apparently the title, Much Ado About Nothing, should actually be Much Ado About Noting, where Noting was a middle English word that meant gossip. 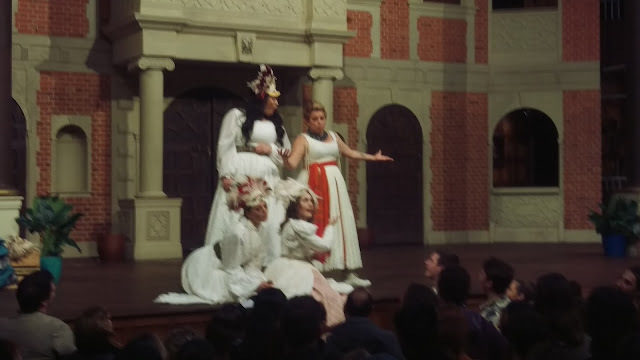 The thing is that gossip plays a key role in the play, both with Don John's attempts to undermine the marriage between Hero and Claudio, but also with the cast attempting to bring Beatrice and Benedict together. 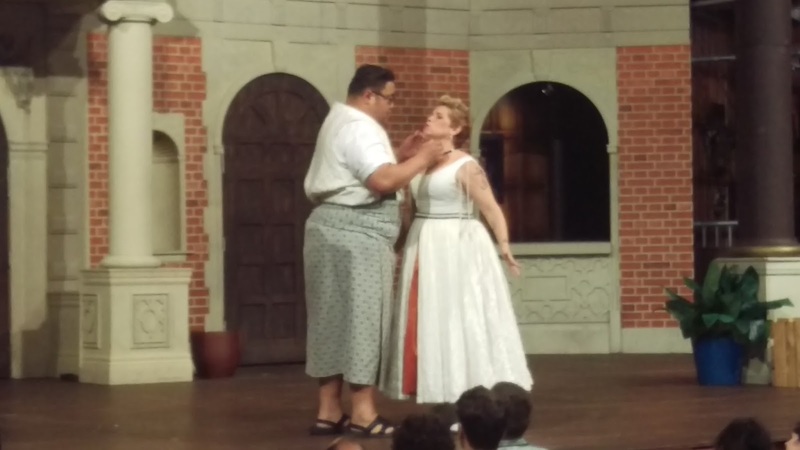 It is the use of gossip at the party that sows the seeds on doubt in Claudio's mind, and then comes to fruition at the first wedding scene where Claudio decides that he no longer wants to go ahead with the marriage. That's the thing with gossip, it can be innocent or it can be malicious, but in both cases it can be quite destructive. Well, not on Benedict and Bernice's case, but technically that isn't gossip, that is just a group of friends trying to set a couple up, and using false rumors (which in the end is gossip) to bring them together. However Don John's gossip is of a completely different type, a false rumour that is used to destroy a relationship and to stain somebody's character. The reality is that we are addicted to gossip, which is why newspapers and magazines sell so well. It gives us an insight into the lives of people that we want to know about. In fact in the workplace and our social circles gossip runs rife. We simply what to know, and the juicier the story, the more that we not only want to know about it, but the more that we want other people to know about it as well. It doesn't matter whether it is true or not, but rather whether it is newsworthy. Yet the reality is that we rarely, if ever, know all of the facts. In fact we don't actually want to know the facts, we just want to believe that the story that we have been told is true, and the more exciting the story, the more we want to believe it. This is where the destructive nature of it arises because in the end the truth goes out of the window, and the story remains, which has the effect of completely staining an innocent person's character. The story of Hero and Leander seems to be popular with Shakespeare, but then again judging by his plays he certainly seemed to love his tragic love stories. The reason I raise this is because one of the major characters is named Hero, and as such the story of Hero and Leander repeatedly came to mind. 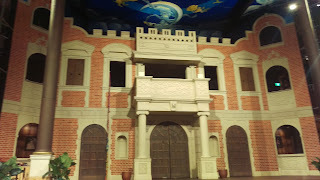 Okay, in the play everything turns out all right, but then again this is a comedy and Shakespeare's comedies, in most cases, always end on a high note. The story is an Ancient Greek myth of a priestess of Aphrodite, Hero, who lived on one side of the Hellespont (the Dardenelles in today's terms), and Leander, who lived on the other side. Hero and Leander fell in love, and every night Hero would light a lamp, and Leander would swim across to be with his beloved. 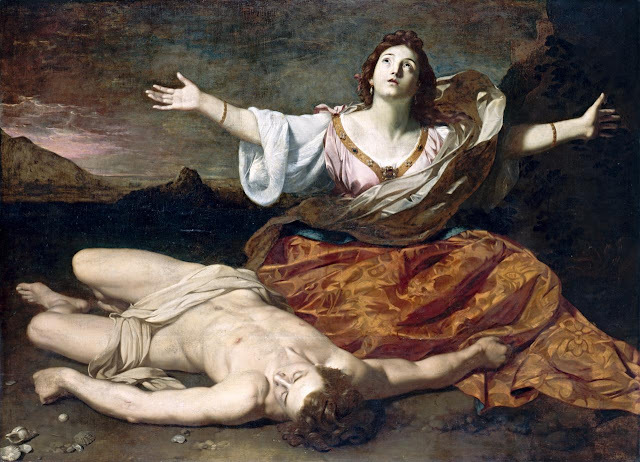 The problem was that as a priestess of Aphrodite, Hero was supposed to be a virgin (despite the fact that Aphrodite was a goddess of lust - go figure), so while everything went well in summer, one winter's night the lamp blew out, Leander lost his way while swimming across and ended up drowning. This is a rather tragic story for a comedy, but it sort of reflects the nature of the relationship. It is one where the couple desire to be together, and are willing to cross insurmountable odds to do so, but in the end the love was never meant to be. We see this in part with the gossip tearing the relationship apart, and the story is supposed to sit in the back out our head (for those of us who are familiar with it). As the relationship collapses, all we can think of is how it was never meant to be, and we are left at the edge of our seats, waiting and wondering how it will turn out. Will it be a tragedy, as was the case in the myth, or will Shakespeare work his magic and bring it all together again? Like many of Shakespeare's plays, there is more that I could write about, but I will finish off with a word about Dogberry, the constable of the night's watch. In a way he is the comic relief, which is odd in a play that is basically a comedy. However, in this play he takes the role of the fool, or the clown. In the performance that I saw he was one of the police officers that you see in the films that ride their bikes along the beach - a rather cushy job that really doesn't require all that much. He is a pretty boy in his shorts, and is basically a clown. In part he plays the role of the narrator, and in another part he is the person that guides us through the play. Yet he is also the clown, spending half the play looking for his passport (which resulted him, at one stage, stripping down to his underwear). In other productions that I have seen he really didn't seem to do all that much, but in this production he was front and centre - well not quite. 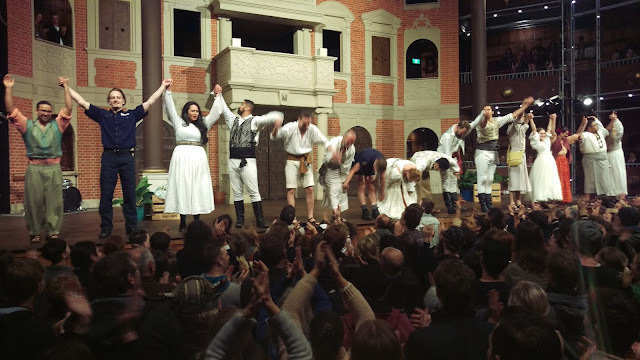 In another way there was an awful lot of audience participation, but anybody who has been to the Globe knows that this is actually part of the performance. 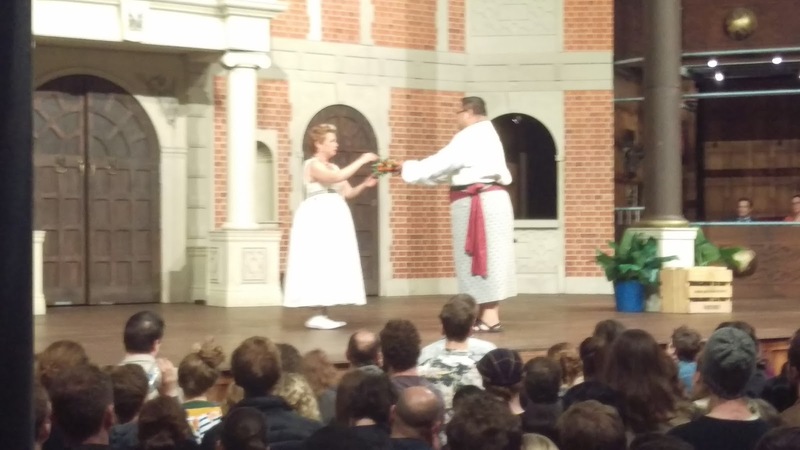 Being a 'groundling', that is one of the people with the cheap tickets and in the standing area, means that you have the potential to get wet, and even dragged onto the stage to be made a part of a joke. Having a seat means that you may be referred to during the play, but standing there opens up a whole new set of risks. It brings me back to Hamlet's comments on the groundlings that I mentioned at the start. These were the cheap tickets, open to the average person who probably didn't know the stories behind the play, or much in the way of the themes and ideas. This is why Hamlet snides at them - the were the average person who would laugh at the crude jokes, and simply come to see all of the blood. In a way, when they were teased at from stage, it is unlikely that they would have fully understood the joke. Oh, it seems like I have drifted away from Dogberry, but I guess that is because, in the end, Dogberry's humour was really targeted at the lowest common denominator, but also skewed in a way that they didn't even realise that they were being made fun of. My understanding of the Nothing/Noting thing is that it is indeed "Nothing," which would have been pronounced the same as "Noting" in Shakespeare's day. Regardless, it is pun on the audio level and on the thematic level, as the trouble (and triumph) are caused by the gossip, by the failure of the characters to take note ("noting") of the clues that point them toward the truth, and by what is essentially nothing real at all, but merely false flim-flam. I think the success of this play depends primarily on the chemistry between the leads. If they have it going on, it is fantastic. The performances I've seen use actions to explain some of the sexual references, such as the beast with two backs.